Kamal Shalorus’ big league debut will be a memorable one, unfortunately not in a good way. 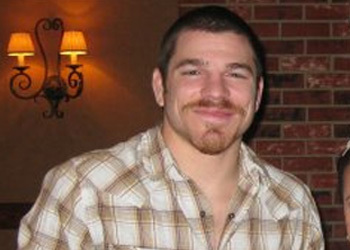 After some back-and-forth action during the opening two rounds, Jim Miller unleashed a vicious barrage of strikes to take home the 3rdRound TKO victory. “Kamal is as tough as a coffin nail. I hit that guy so hard, I might’ve cracked something in my hand,” the potential top contender said after the win. Miller entered the Prudential Center riding a six-fight win streak, including an unexpected submission over Brazilian jiu jitsu ace Charles Oliveira at UFC 124 in December. After collecting lucky number seven, the New Jersey native politely requested a shot at the title. “That’s seven in a row in arguably the toughest division in the UFC. I’m ready for a title shot. I come in here and fight my heart out,” stated Miller. Shalorus headed into his UFC debut without a loss on his professional resume. However, the 155-pounder does have two Draws on his record.